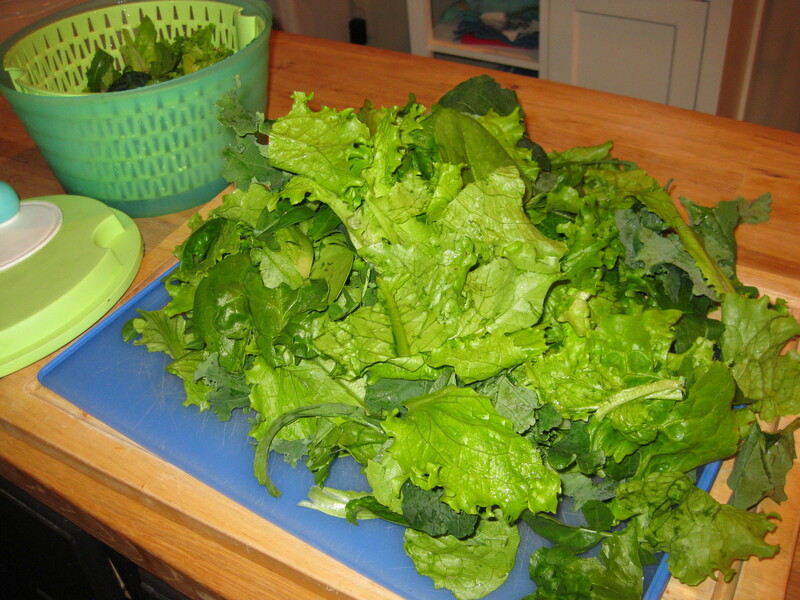 We’re on our 4th harvest of salad greens and enjoying every bit. Four lettuce varieties, arugula, sorrel, spinach, and two kale varieties are in there. 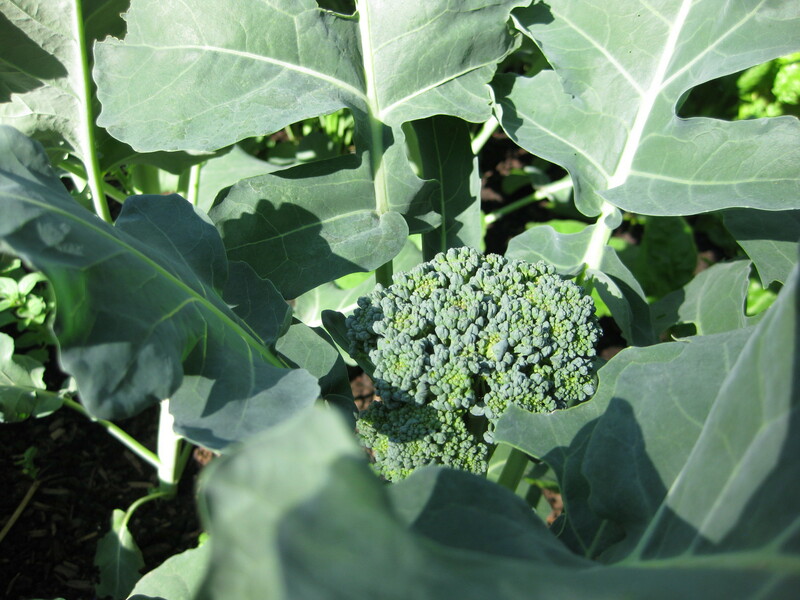 Some broccoli on the way, headed for a stir fry with beef next week. 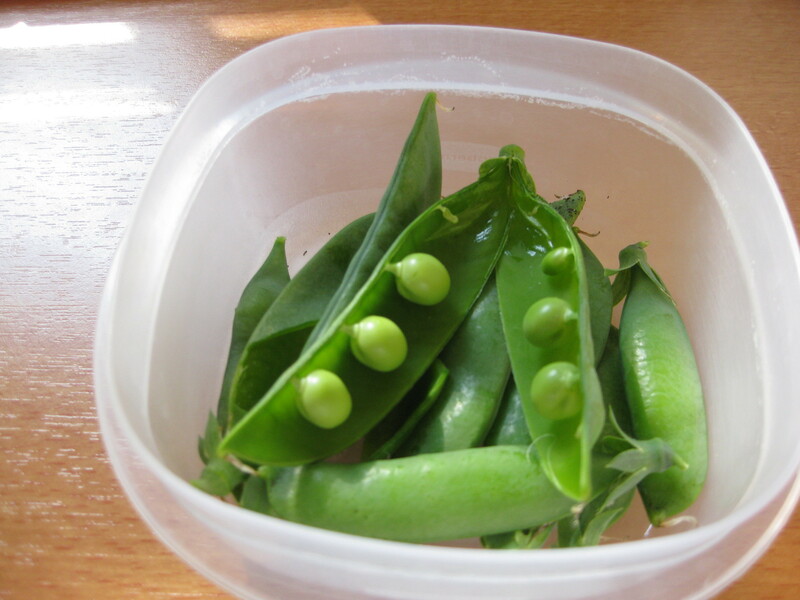 Picked the first shelling peas of the season this morning. Delightful, no better word for it. Snap peas have yet to mature, probably next week.